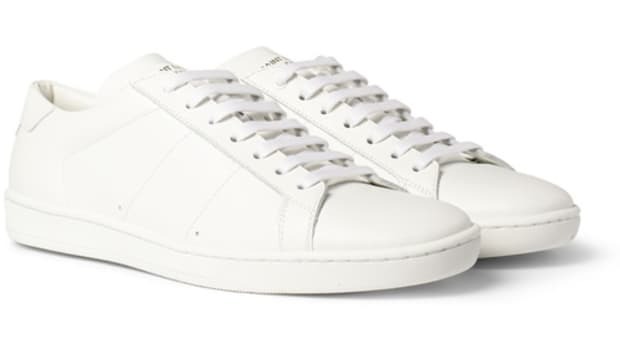 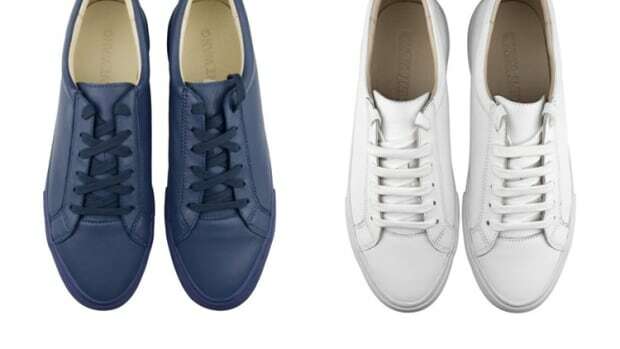 H&M&apos;s premium label COS releases their own take on the minimal court shoe, the Contrast Leather Sneaker. 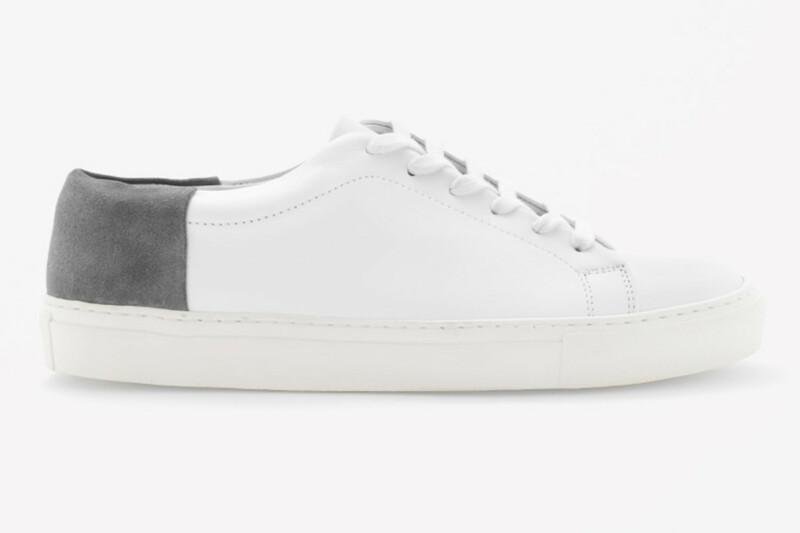 The classic white sneaker is accented with a grey suede panel on the heel and is a great alternative to the more expensive options out there. 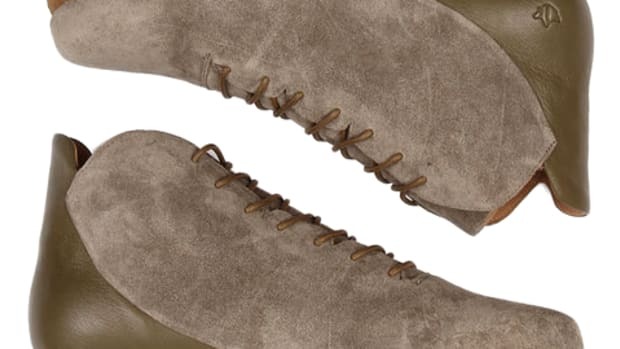 Luxury in leather and suede.